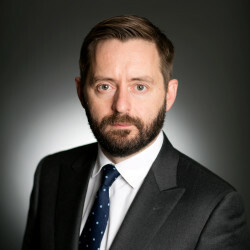 The Minister for Communications, Climate Action and Environment is the member of the Irish government with responsibility for the exercise of executive power in relation to (among other things) the Irish electricity sector. A number of other statutory bodies have policy-related functions, including the Commission for Regulation of Utilities (CRU). The Electricity Regulation Act 1999 (the 1999 Act) is the central piece of legislation governing the Irish electricity sector. The 1999 Act established the CRU and has been amended frequently since its passage in order to supplement the role, powers and duties of the CRU. The 1999 Act also made provision for the issuance, by the CRU, of licences in relation to the generation and supply of electricity. The administration by the CRU of this licensing function and the supervision by the CRU of licensed activities (which have been extended to include transmission and distribution ownership and operation, and the operation of electricity interconnectors) form the basis for the competition that exists in the Irish electricity sector. Irish government policy in the electricity sector tends to reflect EU energy policy, and recent Irish legislation tends to be driven by the requirement that relevant EU legislation be transposed into national law. Thus, the 1999 Act was enacted in order to give effect in Ireland to EU Directive 96/92/EC, which was itself enacted as part of the first EU energy package. EU Directives 2003/54/EC and Directive 2009/72/EC, enacted as part of the second and third EU energy packages respectively, have also subsequently been transposed into Irish law. In furtherance of its obligation, pursuant to the EU Renewable Energy Directive (2009/28/EC), to source 16 per cent of the country’s total energy consumption from renewable energy sources by 2020, the Irish government has set a 40 per cent target for renewable electricity. On the reasonable assumption that most of this renewable electricity will be generated by onshore wind farms, it has been estimated by EirGrid plc that a total of around 4,000MW of wind generation will need to stand connected, compared to approximately 3,650MW that is currently installed. The Irish government also maintains a National Energy Efficiency Action Plan, as it is required to do pursuant to the EU Energy Efficiency Directive (2012/27/EU). A distinct local manifestation of Irish electricity policy was the commencement, on 1 November 2007, of trading in the Single Electricity Market (SEM), the wholesale electricity market through which most of the electricity generated and consumed on the ‘island of Ireland’ (encompassing the Republic of Ireland, together with Northern Ireland) is required to be traded. The SEM began as a gross mandatory pool market, where a single system marginal price for energy was set ‘ex post’, and the availability of generation capacity was rewarded by a regulated scheme of capacity payments. During 2018, the redesign of the SEM was effected by way of the Integrated Single Electricity Market (ie, I-SEM) project, which replaced the ex post pool market with day-ahead, intraday and balancing markets for energy, and replaced the capacity payment arrangements with a ‘capacity remuneration mechanism’, under which capacity support is allocated by auction. The development of the energy trading arrangements within I-SEM was driven by the requirements of the network codes published under EU Regulation 714/2009 (which was also enacted as part of the third EU energy package). The regulation and oversight of the SEM is complicated by the fact that its territory includes two separate legal jurisdictions. To ensure consistency of SEM regulation as between these jurisdictions, the electricity regulator in each jurisdiction retains exclusive regulatory authority in its particular jurisdiction (CRU in the Republic of Ireland and the Northern Ireland Authority for Utility Regulation (NIAUR) in Northern Ireland), but is required under local statute to discharge its SEM-related functions through a committee known as the SEM Committee, which has an identical constitution and membership in each jurisdiction. In Ireland the enduring arrangements underpinning these regulatory arrangements were given a statutory footing by way of amendments made to the 1999 Act in 2006 and 2007. The latest comprehensive statement of Irish government energy policy is the White Paper published in December 2015 and entitled ‘Ireland’s Transition to a Low Carbon Energy Future - 2015-2030’. In relation to electricity, it is noted in the White Paper that the transition to a low carbon future will involve generating electricity from renewable sources, increasing the electrification of home heating and transport and improving the take-up of electric vehicles. Prior to the liberalisation of the Irish electricity sector through the passage of the 1999 Act and the introduction of the generator licensing regime, substantially all electricity generation in Ireland was carried out by the Electricity Supply Board (ESB), a statutory body that is majority-owned by the Irish government, and in which its employees have a minority shareholding. However, it is now possible for any person to carry out the generation of electricity so long as they first obtain from the CRU a licence to generate electricity and an authorisation to construct the relevant generating station. A generator having nameplate capacity in excess of 10MW is required to participate as a generator in the SEM, while a generator having nameplate capacity of 10MW or less may elect to, but is not required to, participate in the SEM. It is noteworthy that the Irish electricity system is small (having an all-time peak system demand of approximately 5,000MW), at least when compared to the scale of (for example) modern combined cycle gas turbine generators. In a market power modelling exercise carried out as part of the I-SEM project, the CRU and NIAUR forecast that in 2016, ESB would retain a 44.4 per cent share of installed SEM generation capacity and a 46.6 per cent share of SEM generation (by volume). While the market therefore remains relatively concentrated, a noteworthy trend in recent years has been the rapid increase in the amount of onshore wind generation connected to the Irish electricity system. There is now approximately 3,650MW of onshore wind generation connected (up from approximately 500MW as at the end of 2005), spread across a numerous and diverse set of owners - although the recent consolidation of development activities into a smaller sub-set of actors is also evident. Ownership and, separately, operation of the Irish electricity transmission system requires the holding of an appropriate licence issued by the CRU pursuant to the 1999 Act. The 1999 Act provides that a licence to own the transmission system may be issued only to ESB, and that a licence to operate the transmission system may be issued only to EirGrid plc (wholly owned by the Irish government). ESB and EirGrid plc regulate their relationship, in relation to the transmission system, by way of a contractual Infrastructure Agreement. On 22 May 2013 EirGrid plc was certified by the CRU as the electricity transmission system operator (TSO) for Ireland for the purposes of Directive 2009/72/EC and Regulation 714/2009. This certification amounted to a finding that the arrangements for the ownership and operation of the Irish electricity transmission system satisfied the requirements of Directive 2009/72/EC in relation to the independence of transmission system operation from electricity generation and supply. Ownership and, separately, operation of the Irish electricity distribution system requires the holding of an appropriate licence issued by the CRU pursuant to the 1999 Act. ESB is the licensed owner of the distribution system (DAO) and ESB Networks DAC, a wholly owned subsidiary of ESB, is the licensed operator of the distribution system (DSO). Prior to the liberalisation of the Irish electricity sector through the passage of the 1999 Act and the introduction of the supplier licensing regime, the retail supply of electricity in Ireland was carried out by ESB. From February 2005, all Irish electricity customers were eligible to select an alternative electricity supplier, and initially the ESB’s supply business was restricted in its ability to determine its retail prices and thereby compete to win back customers. Following the achievement of what the CRU determined to be an adequate level of consumer switching, these pricing restrictions were removed for business customers in October 2010 and for domestic customers in April 2011. As a condition of this deregulation, the supply business of ESB - which, at quarter 1 of 2017, still enjoyed a majority share (51.16 per cent of the domestic electricity market, measured by consumption) - was rebranded as ‘Electric Ireland’. Any person may now carry out the retail supply of electricity in Ireland so long as they first obtain from the CRU a licence to supply electricity and accede to participation as a supplier in the SEM, which requires the provision to the market of appropriate collateral. From SEM go-live (November 2007) until I-SEM go-live (October 2018), participation as a generator in the SEM carried with it an entitlement to receive capacity payments in return for plant availability. The SEM regulators determined, for each calendar year, an Annual Capacity Payment Sum, which is distributed to SEM-participating generators throughout the year on a weighted basis reflecting the relative scarcity, and corresponding value, of generation capacity at various times. The last Annual Capacity Payment Sum set by the regulators was €545,526,720 for the full calendar year 2018 - although owing to I-SEM go-live in October 2018, a lesser amount of payments was disbursed under the scheme. Following I-SEM go-live, in order for a generator to receive remuneration for capacity, it must successfully bid in an auction and be awarded a contract for difference in regulated form. Broadly, the terms of the contract provide for the payment to the generator of a capacity fee (based on auction bids), but also require the generator to pay back any revenues earned in the energy market when prices exceed a regulated strike price. Auctions and contracts run on various timetables. The first auction was held in December 2017, in respect of the capacity year 2018/2019. The auction clearing price was €41,800 per MW, or GBP£38,104.88 per MW. 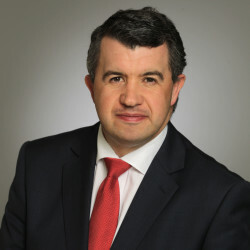 In its capacity as the operator of the Irish electricity transmission system, and with a view to increasing the percentage of instantaneous demand that may be securely served by intermittent generators, EirGrid plc is operating a programme of operational improvements known as ‘Delivering a Secure, Sustainable Electricity System’ (DS3). The DS3 programme includes the procurement of technical system services, such as operating reserve, frequency response and ramping capabilities, from market participants that are capable of providing them. The procurement of these system services is currently proceeding under an interim arrangement involving the setting of tariffs by the CRU and the NIAUR, and the award of contracts to all providers that meet the requisite procurement criteria. It is proposed that for certain ‘high-availability’ services, this interim arrangement will eventually be replaced by an enduring arrangement involving a series of rolling auctions. The electricity regulatory authorisation required to construct a generation facility is an ‘authorisation to construct or reconstruct a generating station’, issued by the CRU pursuant to section 16 of the 1999 Act. The criteria to which the CRU may have regard in determining an application for such an authorisation are prescribed under the Electricity Regulation Act 1999 (Criteria for Determination of Authorisations) Order 1999 (SI No. 309 of 1999). Other authorisations such as planning permission are also required. The electricity regulatory authorisation required to operate a generation facility is a licence to generate electricity issued by the CRU pursuant to section 14(1)(a) of the 1999 Act. Other operational permits such as an integrated pollution prevention and control licence may also be required. Authorisations to construct and generation licences are typically issued by the CRU in a standard form, each of which is personalised only to the extent required to identify the relevant licence-holder and project. The 1999 Act includes a procedure, involving public consultation, under which the CRU may modify an issued authorisation or licence. The CRU modified the form of standard generation licence in 2007 in preparation for the commencement of trading in SEM, and then again in 2017 in preparation for I-SEM go-live, although the CRU suspended the latter set of modifications following a challenge from a licence-holder. Streamlined procedures also exist to facilitate the issuance of authorisations to construct and generation licences in respect of generators that are to have an installed capacity of 10MW or less. Of these, generators that are to have an installed capacity of 1MW or less automatically stand duly authorised and duly licensed, without the need for formal application to be made to the CRU. Section 34 of the 1999 Act confers upon the CRU regulatory powers in respect of the connection of electricity generators to the transmission grid. Section 34 provides that where an application is made to the TSO for connection to or use of the transmission system, the TSO must (except where certain circumstances apply) offer to enter into an agreement for such connection or use, in accordance with directions given to the TSO by the CRU from time to time. the establishment of the group processing approach (GPA) to connection applications, which was introduced by the CRU in 2004 and which limited the availability of connection to renewable generation projects that fell within the criteria specific for membership of the Gate 1 (370MW), Gate 2 (1,300MW) and Gate 3 (4,000MW) capacity tranches. A separate 2,000MW tranche of capacity was subsequently added to the Gate 3 programme for conventional (non-renewable) generation. In March 2018, the CRU established an ‘enduring connection policy’ (ECP) to replace the GPA, and announced that the first batch of capacity under this policy (ECP-1) would comprise at least 1,000MW, with up to 400MW reserved for projects capable of providing DS3 services. Provision was made for the transfer, into ECP-1, of projects awaiting the processing of their applications under the GPA. In order to be eligible for a grant of capacity under ECP-1, an applicant project was required to have received planning permission - although this requirement did not apply to applicants seeking to avail of the capacity reserved for DS3 projects. The size of, and policies associated with, subsequent ECP capacity batches have not yet been determined, and the CRU has merely noted its ‘expectation’ that the system operators will offer the next batch in 2020. Pursuant to the 1999 Act the Minister and the CRU are required, when carrying out their duties, to have regard to the need to promote the use of ‘renewable, sustainable or alternative forms of energy’. This category is defined as the production of electricity using, as the primary source of energy, any of wind, hydro, biomass, waste (including waste heat), biofuel, geothermal, fuel cells, tidal, solar and wave (or a combination of such sources). Under section 39 of the 1999 Act, the Minister is required to direct the CRU to impose ‘public service obligations’ upon electricity licence-holders, which may include such arrangements as are necessary to ensure the availability of electricity generated using ‘renewable, sustainable or alternative forms of energy’ or which operate as combined heat and power (CHP) plants. This PSO mechanism was used to establish three renewable energy feed-in tariff (REFIT) support schemes. Each of these schemes operated by paying, to the off-taker of a supported power purchase agreement with a renewable generator, a feed-in tariff reflecting the difference between the wholesale electricity price and the technology specific price guaranteed to the generator under the REFIT scheme. The last of the schemes, REFIT 3, closed to new applicants on 31 December 2015. REFIT support for an eligible project will expire after 15 years or at 31 December 2032, whichever occurs first. In July 2018, following an earlier consultation exercise, the Department of Communications, Climate Action and Environment announced its intention to establish a new Renewable Electricity Support Scheme (RESS), and published an accompanying high level design paper. The RESS is intended to operate by allocating long-term two-way contracts for difference, capped by output (rather than capacity), to projects that are successful in RESS auctions. In order to be eligible to participate in auctions, projects will need to satisfy community participation requirements, and to hold planning permission and a grid connection offer. The first RESS auction is anticipated to occur in 2019 in respect of 1GWh of electricity from ‘shovel ready’ renewable projects, and a series of subsequent auctions out to 2025 (for project delivery by the end of 2030) is anticipated. At the time of writing, the RESS scheme remains subject to State aid approval, and the development of a detailed design. The Planning and Development Act 2000 allows an enhanced approval procedure for planning applications for wind farms with more than 25 turbines or an output of greater than 50MW, where the Planning Appeals Board considers that the project is of strategic, economic or social importance, contributes substantially to fulfilling the National Spatial Strategy or regional planning guidelines or would have a significant effect on the area of more than one planning authority. In 2006, the Department of Environment, Heritage and Local Government (as it then was) published Wind Energy Development Guidelines, which set the national policy context to be applied by planning authorities in the determination of planning applications for wind farms. the proposed approach will be further supported by the Good Practice for Wind Energy Development Guidelines, issued in 2016 by the Department of Communications, Climate Action and Environment. A Strategic Environmental Assessment (SEA) of the draft approach to the revised guidelines will be undertaken before they are finalised. Following the completion of the SEA, the guidelines will be finalised and issued under section 28 of the Planning and Development Act 2000 and will apply to planning applications for future wind energy development proposals. Ireland is required, pursuant to the EU Renewable Energy Directive (2009/28/EC), to ensure that transmission and distribution system operators ‘guarantee the transmission and distribution of electricity produced from renewable energy sources’. This obligation has been transposed into Irish law as a duty upon the TSO and DSO to, when dispatching generating units, ‘give priority to generating units using energy from renewable sources in so far as the secure operation of the electricity system permits’. the ability of renewable generators to register as ‘price taking generation’ in the SEM (thereby providing preferential access to the SEM market schedule). In furtherance of its obligation, pursuant to the EU Renewable Energy Directive (2009/28/EC), for 16 per cent of the country’s total energy consumption to come from renewable energy sources by 2020, the Irish government has set a 40 per cent target for renewable electricity. The Sustainable Energy Authority of Ireland has reported that in 2016, 27.2 per cent of Ireland’s gross electricity consumption was generated from renewable sources, indicating that in order for Ireland’s 2020 renewable electricity target to be met, the market penetration of renewable electricity generators needs to increase significantly from its current level. The Irish government is also seeking to reduce the amount of power that is consumed, through the implementation of the National Energy Efficiency Action Plan that Ireland maintains pursuant to the EU Energy Efficiency Directive (2012/27/EU). The 2020 energy efficiency target equates to a 20 per cent reduction in final overall energy demand based on the average energy demand during the period 2001 to 2005, with the public sector expected to play an exemplar role by working towards a 33 per cent reduction target - although it should be noted that these targets apply to overall energy demand, and not just the demand for electricity. The Irish electricity regulatory framework does not currently recognise electricity storage as a licensable activity in its own right. Absent such recognition, the business of an entity engaged in the storage of electricity falls to be regulated on the basis of the separate licensable activities that such business entails: in particular, the supply and generation of electricity. Specific treatment of batteries and pumped storage units was, however, introduced into the wholesale electricity market rules as part of I-SEM go-live. It is noted in the 2015 energy White Paper that nuclear power generation in Ireland is currently prohibited by legislation. This may be a reference to Section 18(6) of the 1999 Act, which prohibits the Minister from providing for nuclear fission, in any order by which the Minister directs the CRU as to how it determines whether or not to grant an authorisation to construct a generation station. An order of this type was made in 1999, but does not refer explicitly to nuclear fission. A more effective prohibition is set out in section 37K of the Planning and Development Act 2000, which provides that nothing in that Act shall be construed as enabling the authorisation of development that consists of an installation for the generation of electricity by nuclear fission. Pursuant to the European Communities (Internal Market in Electricity) Regulations 2000 to 2009 (the 2000 Regulations), functions and duties in relation to the Irish electricity transmission system are borne by each of EirGrid plc, as TSO, and ESB, as owner (transmission asset owner, or TAO). Each bears a degree of responsibility for the construction and operation of the transmission system. Accordingly, the electricity regulatory authorisations required to construct and operate the Irish electricity transmission network are both: the licence to discharge the functions of the transmission system operator, issued by the CRU pursuant to section 14(1)(e) of the 1999 Act; and the licence to discharge the functions of the transmission system owner, issued by the CRU pursuant to section 14(1)(f) of the 1999 Act. The 1999 Act provides that a licence to own the transmission system may be issued only to ESB, and that a licence to operate the transmission system may be issued only to EirGrid plc. However, under limited circumstances the CRU may also permit another person to construct a ‘direct line’. Section 34 of the 1999 Act imposes upon the TSO a duty to offer to enter into an agreement for connection to or use of the Irish electricity transmission system, where an application for such connection or use is made by any person. However, in considering such an application or entering into such an agreement, the TSO is obliged to comply with directions given by the CRU. The CRU has made extensive use of its powers to issue such directions, with the result that connection policy is one of the most extensively regulated areas of the Irish electricity sector. As a starting point, section 34 provides that a connecting party should be the holder of an electricity licence or authorisation issued pursuant to the 1999 Act, or should be an ‘eligible customer’. However, the requirements that must be met in order to apply for, obtain and maintain access to the electricity transmission system are set out across a number of sources, including the Grid Code, CRU decision papers, electricity licences and the forms of connection and use of system agreement that have been approved by the CRU. The TSO is required to prepare and maintain a Grid Code, governing the technical aspects relating to connection to and operation of the Irish electricity transmission system, and with which each connected party is obliged to comply. In order to facilitate the integrated operation of the SEM, certain sections of the Grid Code - relating primarily to scheduling and dispatch - are governed jointly by the TSO and SONI Limited, the operator of the Northern Irish transmission system. Pursuant to the 1999 Act, the Minister and the CRU are required, when carrying out their duties, to have regard to the need to secure that ‘all reasonable demands by final customers of electricity for electricity are satisfied’. The TSO is obliged, both by legislation and by the terms of its TSO licence, to develop, if necessary, the transmission system with a view to ensuring that all reasonable demands for electricity are met, and to plan the long-term ability of the transmission system to meet reasonable demands for the transmission of electricity. The TAO receives a regulated rate of return on transmission assets, which suggests that expansion is not likely to occur without the approval of the CRU. Under the 1999 Act the TSO is required to prepare, from time to time, a statement of the basis upon which charges for the provision of transmission services (namely, connection to and use of the electricity transmission system) are imposed, which statement must then be approved by the CRU. The CRU may also give directions to the TSO in relation to the charging basis that must be adopted. A charge for connection to or use of the transmission system is required to be calculated so as to enable the TSO to recover an ‘appropriate proportion’ of the costs directly or indirectly incurred in carrying out any necessary works, and a ‘reasonable rate of return’ on the capital represented by such costs. The CRU determines what constitutes such an ‘appropriate proportion’ and a ‘reasonable rate of return’. Under the CRU’s current approach to charging policy, the CRU conducts a price review that sets the transmission revenue that can be collected from connected customers during each successive five-year period. The current price review period relates to the calendar years 2016-2020 (inclusive). Within each price review period, tariffs are set annually by the CRU on a basis that includes adjusting for over- or under-recovery of transmission revenues in previous tariff periods. In practice, and in recognition that approved transmission revenues will be shared between the parties, both the TSO and the TAO participate in the regulatory price review process. As mentioned above, in offering to enter into an agreement for connection to or use of the Irish electricity transmission system, the TSO is obliged to comply with directions given by the CRU. The CRU has used this power to approve the forms of agreement for connection to or use of the transmission system that are required to be offered by the TSO to new and existing customers. The TSO is not permitted to discriminate unfairly between persons or classes of persons when providing for use of the transmission system or where offering terms for the carrying out of works for the purpose of connection to the transmission system. These responsibilities are shared between the TSO, the TAO and the CRU. The TSO is obliged, both by legislation and by the terms of its TSO licence, to operate and ensure the maintenance of and, if necessary, develop a safe, secure, reliable, economical and efficient electricity transmission system. The TAO is, in turn, obliged to maintain the transmission system and to provide to the TSO such information as the TSO requires in order to ensure the secure operation of the transmission system. The discharge of these responsibilities, among other things, is governed by the Infrastructure Agreement in place between EirGrid plc and ESB. The CRU is obliged by law to monitor security of supply of electricity, which includes the monitoring of the quality and level of maintenance of the transmission networks and taking such measures as it considers necessary to protect security of supply. The CRU has a general power to monitor and enforce the compliance by licensed parties with the terms of their respective licences, which includes the supervision of the performance of the TSO and TAO obligations referred to above. Functions and duties in relation to the Irish electricity distribution system are borne by each of ESB Networks DAC, as DSO, and ESB, as DAO. Each bears a degree of responsibility for the construction and operation of the distribution system. Accordingly, the electricity regulatory authorisations required to construct and operate the Irish electricity distribution network are both: the licence to discharge the functions of the distribution system operator, issued by the CRU pursuant to section 14(1)(g) of the 1999 Act; and the licence to discharge the functions of the distribution system owner, issued by the CRU pursuant to section 14(1)(k) of the 1999 Act. The 1999 Act provides that a licence to own the distribution system may be issued only to ESB, and that a licence to operate the distribution system may be issued only to ESB or a subsidiary of ESB. However, under limited circumstances the CRU may also permit another person to construct a ‘direct line’. The provisions of the 1999 Act that impose duties upon the TSO in relation to connection to the electricity transmission system (and which we discuss in our answer to question 10) apply equally to the DSO in relation to connection to the electricity distribution system. Accordingly, see question 10. ESB Networks DAC maintains a separate Distribution Code governing the technical aspects relating to connection to and operation of the Irish electricity distribution system. As noted above, pursuant to the 1999 Act the Minister and the CRU are required, when carrying out their duties, to have regard to the need to secure that ‘all reasonable demands by final customers of electricity for electricity are satisfied’. The DSO is obliged, both by legislation and by the terms of its DSO licence, to develop, as necessary, the distribution system with a view to ensuring that all reasonable demands for electricity are met. The DAO receives a regulated rate of return on distribution assets, which suggests that expansion is not likely to occur without the approval of the CRU. The provisions of the 1999 Act that impose duties upon the TSO in relation to the rates and terms for the provision of transmission services (and which we discuss in our answer to question 12) apply equally to the DSO in relation to the rates and terms for the provision of distribution services. Accordingly, see question 12. The electricity regulatory authorisation required to sell power to customers, whether commercial or domestic, is a licence to supply electricity to eligible customers, issued by the CRU pursuant to section 14(1)(b) of the 1999 Act. An ‘eligible customer’ is a consumer of electricity whose consumption at any single premises in any 12-month period is calculated to be, or estimated to be likely to be, greater than 0.1kWh. The CRU does not currently limit or direct the retail prices that may be charged by Irish electricity suppliers. However, the CRU has a general power to monitor and enforce the compliance by each licensed electricity supplier with the terms of its supply licence. Each supplier serving domestic customers is required to comply with a number of Codes of Practice published by the CRU, including in relation to billing, disconnection, marketing, complaints handling, prepayment meters and vulnerable customers. Following I-SEM go-live, the prices payable for sales of wholesale electricity in the SEM are established by the interaction of bidding and regulated processes in three separate temporal markets: the day-ahead market administered by ‘SEMOpx’ (a contractual joint venture between EirGrid plc and SONI Limited); the intraday market, also administered by SEMOpx; and the balancing market, which is administered by the ‘sem-o’ contractual joint venture between EirGrid plc and SONI Limited under which the SEM has been operated since its inception. Participation by generators and off-takers in the day-ahead and intraday markets is voluntary, while market participants are ‘balance responsible’ and their participation in the balancing market is therefore compulsory. At I-SEM go-live, SEMOpx was the only ‘nominated electricity market operator’ (as defined in EU legislation) operating day-ahead and intraday electricity markets for Ireland and Northern Ireland although this role is, under law, open to competition. In order to mitigate perceived market power, certain generators are also obliged to issue a suite of contracts for differences, known as ‘directed contracts’. The terms of these contracts, including the strike prices against the day-ahead market price, are set by the CRU and the NIAUR. Entry into directed contracts is open to electricity suppliers. Each electricity supplier that supplies electricity to domestic or small business customers bears an obligation, set out in its supply licence, to offer to enter into a supply contract upon receiving any reasonable request from a potential customer. It is also required, if designated by the CRU, to act as supplier of last resort. The Minister for Communications, Climate Action and Environment has overall policy responsibility for the electricity sector. However, the CRU is responsible for day-to-day regulation of the sector. The CRU is required to discharge its SEM-related functions through a committee known as the SEM Committee, made up of three individuals appointed by the CRU, three individuals appointed by the NIAUR, an independent member and a deputy independent member. The many functions and duties of the CRU are set out in section 9 of the 1999 Act and, in relation to electricity, include establishing arrangements for trading in electricity, monitoring retail market opening and customer switching, granting, enforcing and revoking electricity licences and acting as Ireland’s national regulatory authority for purposes of Directive 2009/72/EC (concerning common rules for the internal market in electricity). The CRU has, since 2006, had the power to take all necessary steps to establish and facilitate the operation of the SEM. In June 2016 this power was extended to include the amendments to the SEM that were made by way of the I-SEM project. The CRU was established under the 1999 Act, stands as a statutory body and is funded by a levy imposed on energy undertakings and other regulated entities. The minister is responsible for the appointment of each member of the CRU, and retains the power to give general policy directions to the CRU (as well as specific directions in relation to certain other, specified matters). The minister is not, however, permitted to give general policy directions to the CRU in relation to SEM matters. Decisions of the CRU on the granting of an electricity supply or generation licence under section 14 or an authorisation to construct a generating station under section 16 of the 1999 Act, and decisions of the CRU on modification of the terms of such licences or authorisations already granted, can be appealed within 28 days of the making of the decision by requesting that the minister establish an appeal panel. Such an appeal panel has all the powers and duties of the CRU that are necessary in order to determine the issue. The first such appeal panel was constituted in 2018, and in July 2018 it found in favour of two licence holders who had challenged the CRU’s purported amendment of their licences as part of the I-SEM project, and directed the CRU not to make the proposed modifications. The 1999 Act also makes provision for application for judicial review, through order 84 of the Rules of the Superior Courts, of certain decisions of the CRU. Such an application must, save in exceptional circumstances, be made within two months of the decision in question, which is a shorter period than the three-month period that is set out in order 84 itself. It is likely that general principles of Irish administrative law, including the right to apply for leave to apply for judicial review within that longer three-month period, apply to decisions of the CRU that are not explicitly listed in this part of the 1999 Act. Merger control in Ireland is, in general, a matter for the Competition and Consumer Protection Commission (CCPC). The CRU also has a separate power to revoke an electricity licence if a change in control has left the licence controlled by parties not having adequate ‘technical, financial or managerial strength’. The primary legislation governing this area is the Competition Acts 2002 to 2014 (the Competition Act). 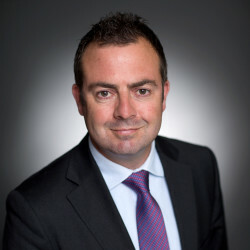 The Competition Act requires that mergers, takeovers and joint ventures be notified to the CCPC for approval if the aggregate turnover in Ireland of the parties involved is not less than €50 million and at least two of the parties involved have turnover in the state of not less than €3 million. The CCPC reviews transactions to see whether they would ‘substantially lessen competition’ in any market within the state. This test is concerned solely with competition issues, ignoring employment, regional development, etc. The notification of a merger to the CCPC is mandatory where the thresholds in the Competition Act are met. Therefore, a proposed transaction cannot be implemented until the CCPC has approved the transaction. Where competition issues arise, such approval may have conditions attached (for example, the divestment of a specific part of the business or providing third parties with access to essential facilities). There are two possible phases for the CCPC’s investigation. During Phase I, the CCPC must make a decision within 30 working days. However, should the parties offer commitments during Phase I to assuage any competition concerns, the time period is extended to 45 working days. These time periods may be extended if the CCPC issues a formal request for information (RFI), which will stop the clock and reset it to day 1 when the parties respond to the RFI. The vast majority of transactions are dealt with in Phase I and the average time for dealing with a Phase I transaction in 2017 was 26 working days. If the matter moves to Phase II, the CCPC has 120 working days from the original receipt of the notification (or from responses to the Phase I RFI), which may be extended to 135 working days. Time can be suspended during Phase II should the CCPC raise queries within 30 working days of opening Phase II. The CCPC is responsible for the enforcement of competition law in Ireland. The CCPC can undertake an investigation either on its own initiative or on foot of a complaint. Private parties can also take civil actions against other private parties in the Irish courts for breaches of the Competition Act. Under the 1999 Act, the CRU must have regard to the need to promote competition in the supply of electricity. The CRU must also monitor licensees to ensure that they comply with licence conditions. Under the terms of the standard licence to supply electricity, a dominant supplier is prohibited from predatory pricing or discrimination in supply. The CCPC has an agreement in place with the CRU to facilitate cooperation in the performance of their respective functions in so far as they relate to issues of competition between undertakings. As regards the SEM, any abuse of a dominant position in the market, or any arrangement with the object or effect of distorting competition, would, by definition, affect a market in more than one member state (at the very least, Ireland and the UK) and would therefore come within the scope of articles 101 and 102 Treaty on the Functioning of the European Union (TFEU). Under Regulation 1/2003 the Irish courts (as a national competition authority) have the authority to apply articles 101 and 102 TFEU. Competition law in Ireland mirrors EU competition law. Section 4(1) of the Competition Act (implementing article 101 TFEU) prohibits agreements, decisions or concerted practices that have as their object or effect the prevention, restriction or distortion of competition (eg, price fixing, market sharing, limiting production, etc). Similar to the TFEU, Irish law also provides for the ‘efficiency defence’ where it can be demonstrated that the agreement or arrangement actually contributes to improving the production or distribution of goods or services or to promoting technical or economic progress, while allowing consumers a fair share of the resulting benefit. The efficiency defence can be applied only on condition that the competition restrictions are indispensable and substantial competition will not be eliminated. Section 5 of the Competition Act (implementing article 102 TFEU) prohibits the abuse of a dominant position. Generally, a firm is considered to be dominant if it enjoys a position of economic strength that gives it the power to act, to an appreciable extent, independently of its customers or its rivals. Section 5 is not necessarily breached when a firm’s vigorous competition takes sales away from less efficient rivals, as this is competition working properly. The examples of abuses provided under the Competition Act are identical to those under article 102 TFEU. The CCPC, unlike the European Commission, does not have the power to adopt its own binding decisions or to unilaterally impose fines. However, this does not preclude the CCPC from using its extensive powers of investigation, which include the ability to conduct dawn raids or to compel individuals to give evidence under oath. an individual found guilty of an offence on indictment can be fined up to €5 million or 10 per cent of his or her annual individual turnover, whichever is greater. An individual can also be imprisoned for up to 10 years. No, save to the extent that, as set out in Directive 2009/72/EC, the European Commission retains a certifying role in relation to any proposed acquisition of a European transmission network business by a non-EU entity. The electricity regulatory authorisation required to construct an interconnector is an ‘authorisation to construct an interconnector’, issued by the CRU pursuant to section 16 of the 1999 Act. The electricity regulatory authorisation required to operate an interconnector is a licence to ‘transport electricity across and maintain an interconnector’ issued by the CRU pursuant to section 14(1)(i) of the 1999 Act. The CRU’s policy on interconnection is evolving - during 2018 it issued consultations on the assessment criteria that it should apply to applications for interconnector authorisations, and on the regulated tariff model (if any) that should apply to the Greenlink project (see question 33). The Irish electricity transmission system is currently linked with that of Northern Ireland by a twin circuit 275kV AC connection. Since the establishment of the SEM, arrangements for access to this interconnection have been subsumed into the unified dispatch of the all-island transmission networks, meaning that this interconnection capacity is allocated by means of an implicit auction. EirGrid and SONI are jointly planning a major cross-border electricity transmission development between the existing high-voltage transmission networks of Ireland and Northern Ireland. The proposed interconnector is a 400kV overhead line circuit linking the existing 400kV substation in Woodland, County Meath, Ireland with a planned substation in Turleenan, County Tyrone, Northern Ireland - the ‘North-South 400kV Interconnection’. As with the existing twin-circuit connection, it is proposed that the capacity of the new interconnection will be allocated by means of an implicit auction. EirGrid Interconnector DAC, a member of the EirGrid group, owns a 500MW HVDC interconnector running between Ireland and Wales, known as EWIC. From I-SEM go-live, access to the EWIC has been facilitated through the sale and purchase of Financial Transmission Rights. Two further high-profile Irish interconnector projects currently under development are: the 700MW Celtic Interconnector, proposed to run between Co. Cork and Brittany, France, currently being developed as a joint venture between EirGrid and Réseau de Transport d’Electricité, the French TSO; and the 500MW Greenlink interconnector, proposed to run between Great Island, Co. Wexford and Pembroke, Wales, currently being developed by Element Power. The standard electricity supply licence provides that where the licensee is in a dominant position in the market for the supply of electricity, and the licensee also owns a generation business, it is not permitted to give or receive cross-subsidies between the licensee’s electricity supply business and any other business of the licensee or of an affiliate or related undertaking of the licensee. A similar restriction is contained in the standard electricity generation licence. General principles of competition law, relating to transactions between dominant companies and their affiliates, are also relevant. According to the 1999 Act, it is the responsibility of the CRU to enforce the terms and conditions of a supply or generation licence. Ultimately, the CRU has the power to revoke a licence if the licensee fails to comply with a direction, a determination or an order. Following the expiry of the REFIT support schemes, the implementation of the RESS scheme is the regulatory process that will have the most significant influence on the development of the Irish electricity generation sector in the coming years. The scheme’s high-level design was published in July 2018, at which point it was clear that significant further design work - as well as state aid approval - was necessary before the scheme could be regarded as ready for its scheduled first deployment in 2019. Irish electricity generators and their contractual counterparties continue to adapt their commercial activities to the realities of trading in I-SEM, which went live in October 2018. Many have adopted transitional pricing arrangements that are to be reopened following the initial period of trading in the redesigned market. A degree of ‘churn’ in the market for power purchase agreements and related arrangements is to be expected, as well as inroads by market entrants looking to exploit new trading opportunities and niches in I-SEM. The exit of the United Kingdom from the EU, which is scheduled to occur on 29 March 2019, remains a pressing issue by reason of its timing and its potential disruptive effect - at least in theory - on assets and activities, such as SEM, that span the UK-EU border. However, at the time of writing, the regulatory consequences of this event for the Irish electricity sector have not been settled. 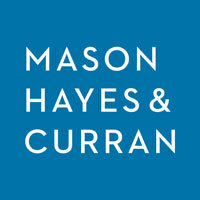 Mason Hayes & Curran is a full service Irish business law firm, with 80 partners and offices in Dublin, New York and London. Key areas of firm expertise include Mergers and Acquisitions, Securities Law, Tax, Financial Services and Litigation across a range of sectors including energy, healthcare, technology, real estate and banking.